RAF Cosford Airshow 2019 Schedule - Military Airshows in the UK - Tickets, Hotel Accommodation. RAF Cosford opened in 1938 as a joint aircraft maintenance, storage and technical training unit and has remained mainly a training unit to this day. The Princess Mary's Royal Air Force Nursing Service hospital was established at RAF Cosford from 1977 until 1980. The extensive sports facilities at Cosford, located around a banked indoor running track, became well known nationally through televised annual indoor championships that featured top athletes from all over the world. Today Cosford is home to No. 1 School of Technical Training, No. 1 Radio School RAF, the Defence School of Photography and the RAF School of Physical Training. Flying units include the University of Birmingham Air Squadron, No 8 Air Experience Flight and No 633 Volunteer Gliding Squadron. The Wales and West regional headquarters and West Mercian Wing headquarters of the Air Training Corps are situated there, along with No 2497 (Cosford) Squadron of the ATC. 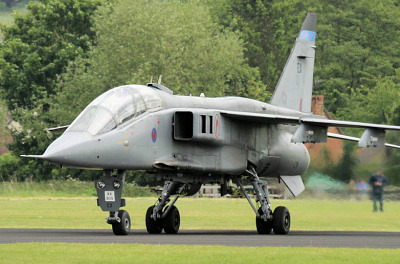 There are many Sepecat Jaguar aircraft at RAF Cosford which are used for ground instructional use. RAF Cosford is also home to the RAF Cosford Museum which is a branch of the Royal Air Force Museum. Amongst the large collection of military aircraft is a unique collection of research and development aircraft, including one of two existing examples of the TSR2. The collection also includes early missiles and rocketry. In February 2007, the Princess Royal opened the new National Cold War Exhibition at the Royal Air Force Museum Cosford which includes Britain's three V-bombers: Vulcan, Victor and Valiant and many other aircraft from the cold war period. The RAF Cosford Air Show 2018 will feature a unique mix of aircraft, spanning the 100-year history of the Royal Air Force, which will be showcased in the flying display and in our special RAF100 Static Exhibition. This is a never before seen collection of aircraft that gives you a once in a lifetime opportunity to see the revolution of air power over the last 100 years. 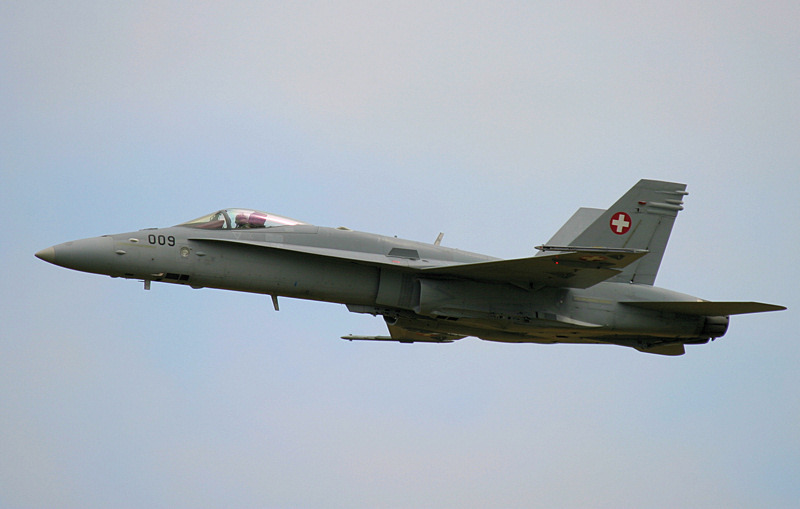 RAF Cosford holds a popular airshow every year in June, which is held traditionally on the second Sunday of the month. The show usually has attendance figures of over 50,000. RAF Cosford is the only Royal Air Force airshow now that RAF Leuchars has become an Army base, and RAF Waddington has cancelled their airshow. 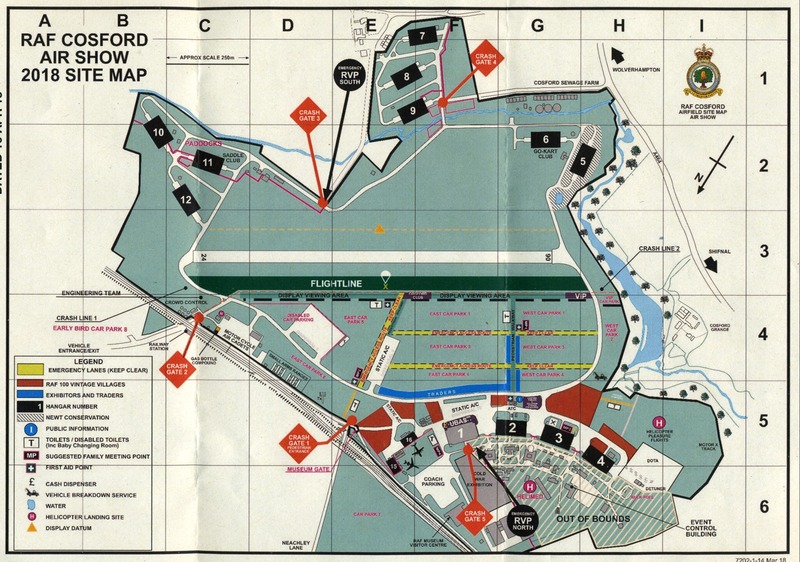 As this airshow venue has a short runway of 3,891 ft then many of the aircraft have to use the runways at nearby RAF Shawbury. In recent years the static aircraft display have included some of the rare museum aircraft which are placed outside. One of the key themes for this year's show is celebrating the NATO 70th anniversary. RAF Cosford Airshow will also celebrate 65 years since the first flight of the BAC Jet Provost, with unique displays in the air and on the ground. Please visit the official RAF Cosford Airshow website for ticket prices and booking or call 0871 230 1083. Sunday 09 June - Timings to be announced. • Red Arrows Schedule 2019.